You can’t get any more futuristic than a spaceport. 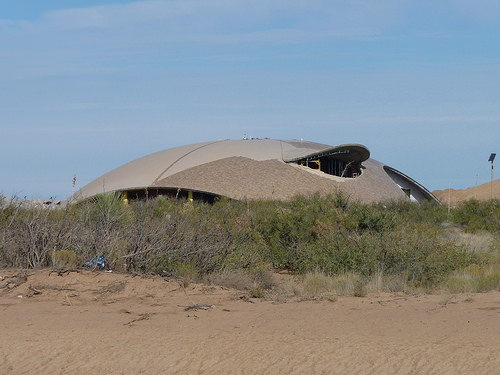 The building was designed to launch and receive spacecraft and it looks about like you’d expect, while still blending into the New Mexico desert. So far, the spaceport as launched 12 successful missions and is home to UP Aerospace, Armadillo Aerospace and Virgin Galactic. It is the first commercial spaceport in the world.